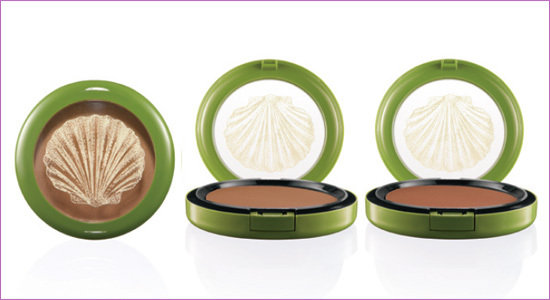 I was very excited to try this new MAC product : Cream Bronzer. It was in the To the Beach Collection with Launched May 27th. I have had it for a few weeks now and I cannot figure out how to make it look good! I have tried it over liquid foundation, over powder, over cream (MAC Studio Tech) – and nothing seems to look good. My best application that I got was over my Liquid foundation (MAC Studio Fix) with a light dusting of powder then a top up of the cream bronzer on the apples of my checks. IT looked ok this way but then- it streaked as the day went on. I am determined to get this product to work for me! 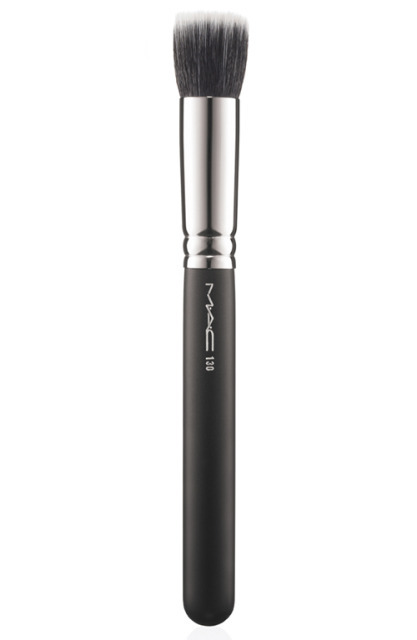 I purchased to new MAC 130 brush to apply it, but I think that I will try the new MAC 131 brush next. I know, from reading other sites, that girls are having trouble with this formula all over. If I get it to work great I will get a tutorial posted with some pictures. I am not giving up on this product yet! Let me know if you purchased this product, and tell me your thoughts, share any tips or tricks for application – would you purchase it again? Do you LOVE LOVE it? Or are you regretting the purchase?